You can use cereals with legumes for a tasty and savoury single course. The regular consumption of wholegrain cereals, within a balanced diet appropriate for your life style, together with a good level of physical activity, helps you control the outbreak of several chronic diseases. Parboiled brown rice (75%), pre-cooked wholegrain lentils (10%), pre-cooked emmer (8%), buckwheat (7%). With a portion of Cereals and Legumes you take 20.8% of the fibres you need in a day. Nutritionist recommend to take at least 25 g of fibres a day to facilitate the elimination of residues. 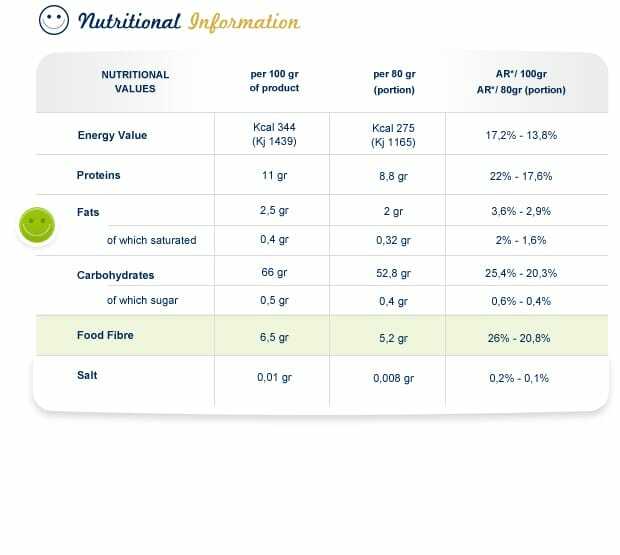 According to estimates, today we take only 10 g because we eat more refined food and less fruits/vegetables than our parents.